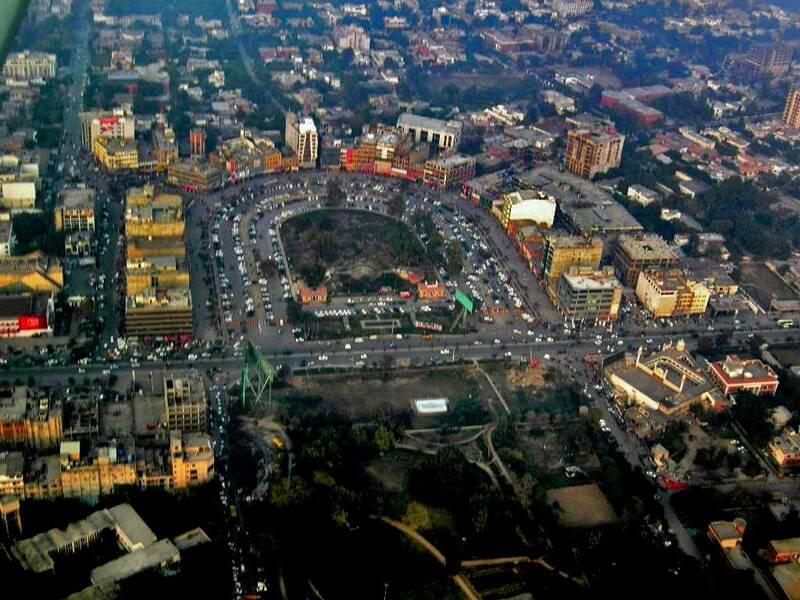 May be you would never get a chance to fly all over the Lahore and see all famous places of Lahore from sky. But we are giving you a chance to enjoy the flight all over the Lahore. 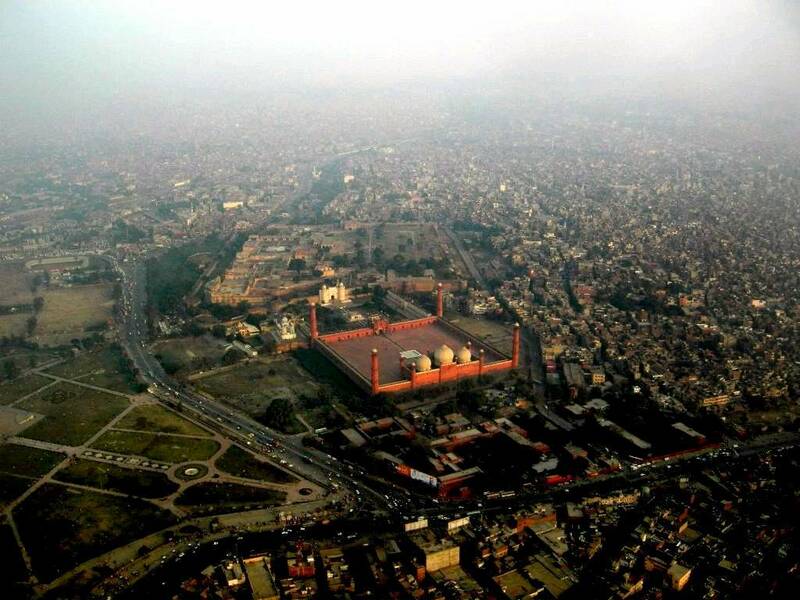 Imagine you are in a Helicopter, and yes you are going to see the historically city of Lahore from sky. Lahore's Badshahi Mosque. Clad in red sandstone this breathtakingly beautiful place of worship was built in 1673 by the Mughal emperor Aurangzeb Alamgir, grandson of Jahangir and son of Shah Jehan. Opposite the mosque the white structure is Alam giri Gate, the main entrance to Lahore 's historic Shahi Qila. Structures behind the gate within the fort's massive walls were royal quarters for various Mughal emperors. According to excavations and historical references the origins of the Lahore Fort date back to before 1000 AD. Most of the existing structures were built in the reign of the Mughal emperor Akbar between 1550-1600 AD. 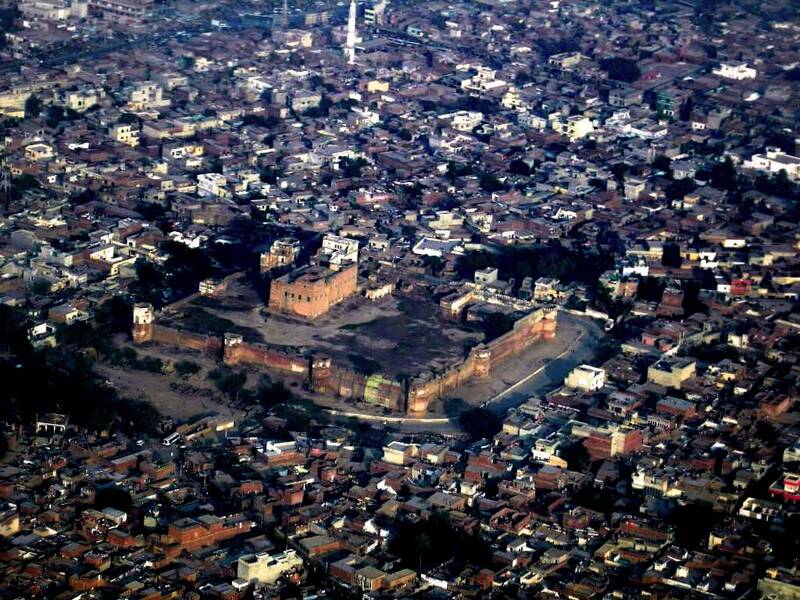 The densely packed houses to the right of the Fort and Mosque form Lahore 's famous Walled City , the original Lahore dating back over 2000 years. 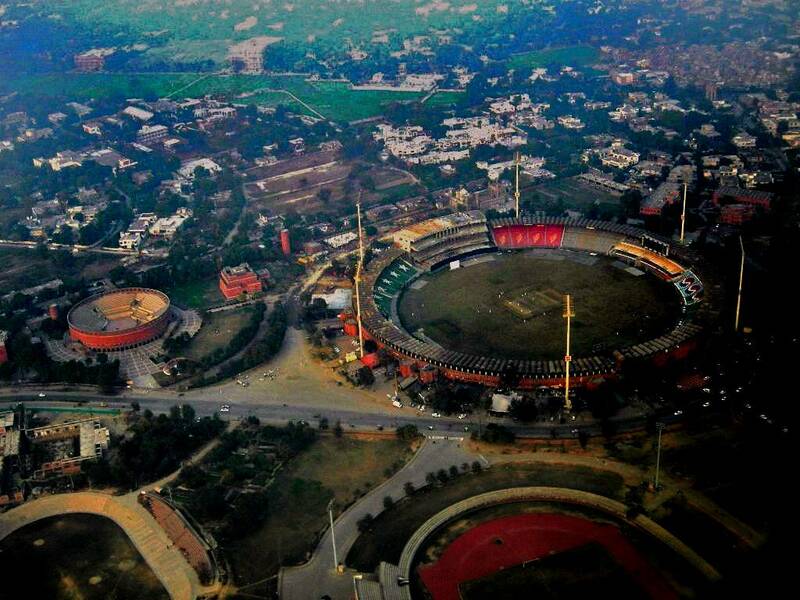 The famous Gaddafi cricket stadium; the Alhamra Art Gallery ; the Alhamra amphiteatre - Foreground: Hockey and athletics stadia. 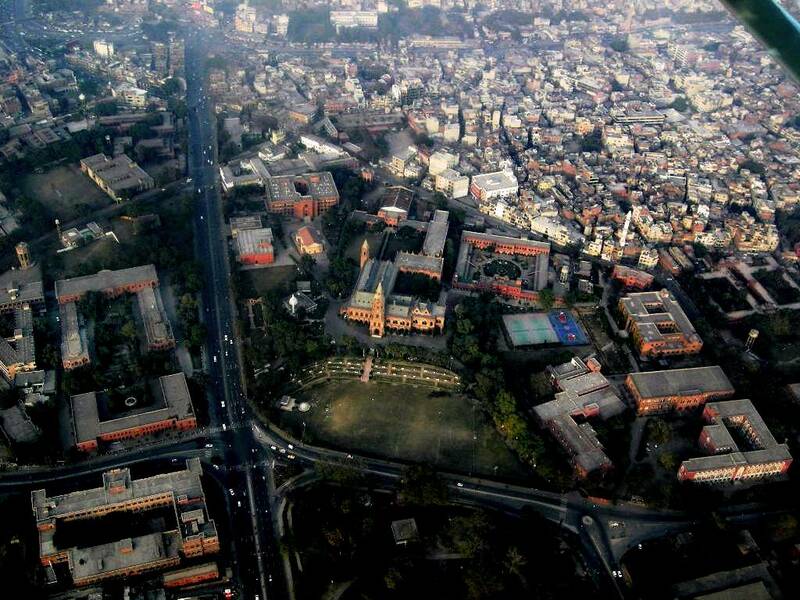 Background, left: grounds of Forman Christian College set up in 1865, named after Dr Charles Forman an American Protestant missionary who settled in Lahore in 1849.The college was nationalized by the government of the late Prime Minister Z. A. Bhutto (father of Benazir Bhutto) and stayed so for over 30 years before being returned to the mission which had run it since inception. 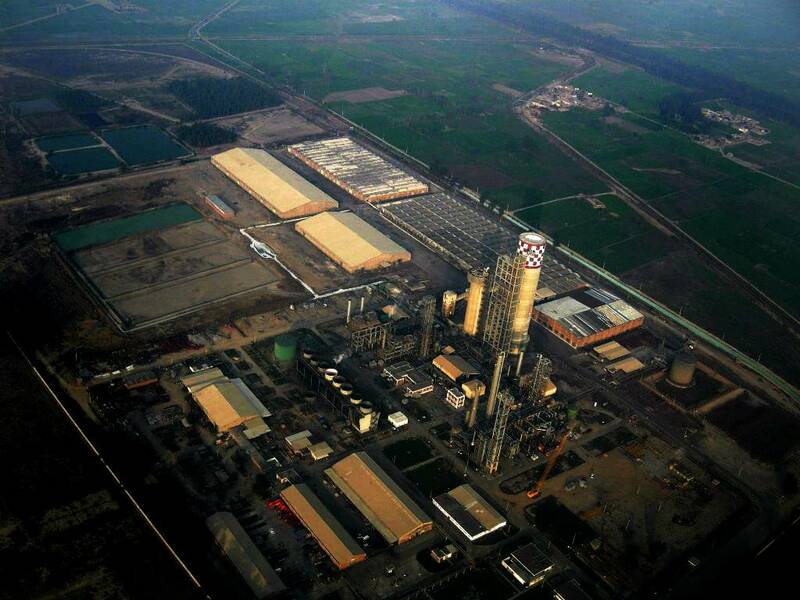 The pink structure with the tall tower and a playing field in front is Lahore 's famous Government College , now Government College University . Established in 1864, 'GC' as it is popularly called soon became and continues to be one of the foremost centers of education in Pakistan . The square structure next to the college is the Quadrangle, the male students' hostel. Other buildings within the grounds to the right and left were added later to house various academic faculties. 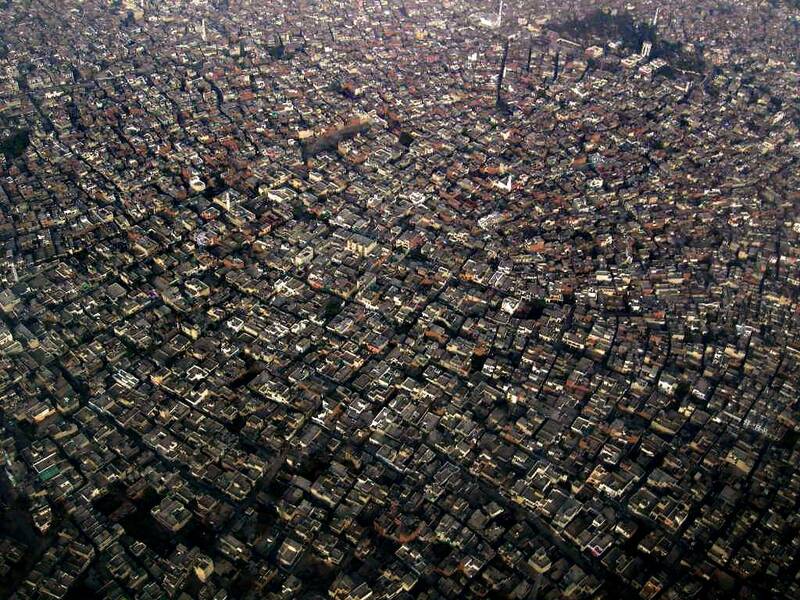 An older Lahore locality forming an interesting mosaic. 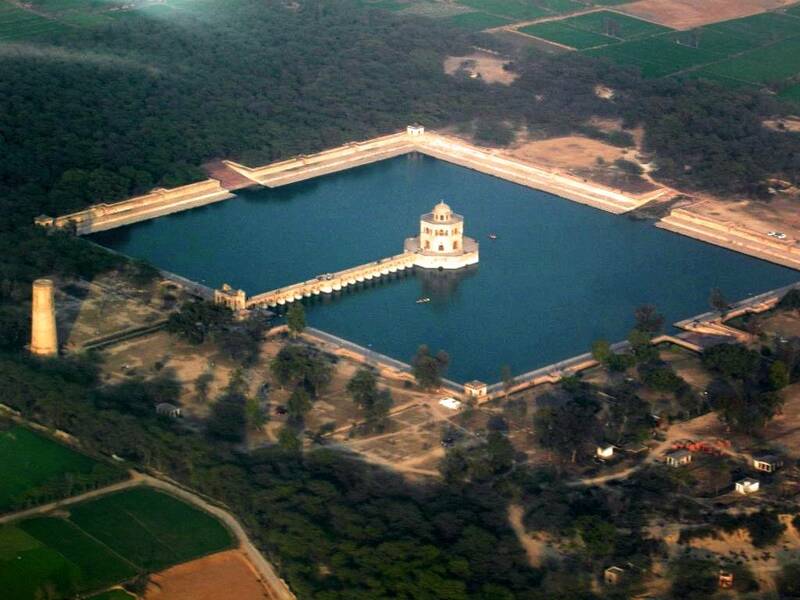 Hiran Minar, built by Emperor Jahangir as a monument to Mansraj his favorite pet deer. A remarkable structure with many features some being added after Jahangir's death by his son and successor the Emperor Shahjehan.